Ron is the father of two students who have participated in the No Barriers – Global Explorers Leading the Way program for students with and without visual impairments. He is the Chief Customer Officer for Sopris Health, a start-up healthcare company providing an Intelligent Clinical solution to clinicians and health systems. The solution utilizes artificial intelligence that provides; EHR optimization, streamline clinical documentation, health data standardization, clinical efficiencies, improved quality scores and the reduction of the administrative burden on providers. 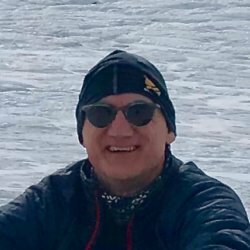 Prior to joining Sopris Health, Ron has had senior level executive positions in Healthcare organizations, including; Consova, Medtech Global, Optum, EY and also founded a healthcare IT solutions company focused on innovations in such areas as pharmacogenomics, disease management, ER & ICU solutions. He has lived and worked in Europe and Asia and moved to Denver from Tokyo. Ron has a passion for getting involved. Currently he is on the Board of Trustee of Roosevelt University (Chicago, Il.) and on the board of No Barriers. He is the past board president of the Colorado Neurological Institute, Colorado Healthcare Strategy & Management (CHSM), Advisory Board of Daniels Business School – Denver University and one of the founding members of the Kilimanjaro Blind Trust, whose mission is to educate blind orphaned children in East Africa.